Papers: 1834-1874. 1 folder; 44 items. Papers and political correspondence and Harvard Law School diploma. Papers: In J. Peter Lesley papers, 1826-1898, available on microfilm; William Parker Foulke papers, ca. 1840-1865; and Charles Babbage selected correspondence, 1827-1871, on 1 microfilm reel of originals at British Museum. Papers: Ca. 200 items. Also photographs. Papers: 1851-1873. 24 letters. Also photographs. Papers: Correspondence in Jonas Winchester papers, 1829-1887. Papers: Correspondence in Charles Stewart Daveis papers, 1815-1864; Sydney Howard Gay papers, ca. 1770-1900; Josephine W. Griffing papers, 1862-1872; and Jay family papers, 1828-1943. Papers: 1835-1874. 147 items. Letters from Sumner to various correspondents relating to the assault on him by Preston Brooks, Kansas-Nebraska Act, opposition to slavery, support of civil rights for blacks after the Civil War, opposition to annexation of the Dominican Republic in 1869, Horace Greeley and the election of 1872, Emperor Maximillian of Mexico, prison and naturalization reform, and other topics reflecting his legal, intellectual, political, and international interests. Finding aid. Papers: 1829-1895. 200 boxes. Chiefly correspondence including letters from antislavery leaders and other reformers, letters from constituents, and letters describing conditions in the South during Reconstruction. 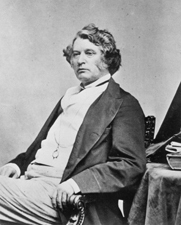 Also papers connected with the resolution of condemnation against Charles Sumner, 1872-1873. Available on microfilm. Finding aid. Papers: 1833-1873. Ca. 150 items. Includes 52 letters (1839-1873) from Sumner to George Washington Green. Other correspondents include Samuel Hooper, Samuel Gridley Howe, and Mrs. and Mrs. Thomas Lamb, Washington, DC. Finding aid. Additional Papers: Correspondence in Pickard-Whittier papers, 1815-1914; Edward Lillie Pierce papers, 1852-1888; Evert Jansen Wendell collection, 1762-1915; Henry Wadsworth Longfellow papers, 1811-1928; 32 letters in Wendell Phillips papers, 1555-1882 (bulk 1833-1881); manuscripts in Palfrey family North American review papers, 1831-1843; 15 letters in Robert Carter papers, 1851-1898 (bulk 1851-1862); and numerous letters in George Nichols papers, 1788-1882. Papers: 1835-1874. 204 items. Includes 120 letters (1857-1873) to Elizabeth Georgiana Campbell, Duchess of Argyll, in an attempt to win her husband, a privy councillor, to the side of the Union. Subjects covered in these and other letters include: relations with great Britain and British opinion of the Civil War; national politics in the years preceding, during, and following the war; Sumners opinion of Andrew Johnson; travels in England, France, and Italy; and law and literature. Also ca. 25 letters in various collections. Papers: 2 letters (no date) in Bookfellow Foundation autograph collection, 1705-1940. Papers: 1841-1874. 1 container. Correspondence and printed matter chiefly concerning government publications, appointments to office, the Republican party, his law practice, and his political speeches and writings. Additional Papers: Correspondence in Nathaniel Prentice Banks papers, 1829-1911; Andrew and John White Stevenson family papers, 1756-1882; Whiting Griswold papers, 1843-1874; and James Redpath papers, 1861. Papers: Correspondence in the David Warden papers, available on microfilm. Papers: 1779-1873. 3 linear feet. Congressional, personal, and family correspondence and papers, speeches and writings. Additional Papers: Correspondence in William Foster papers, 1734-1879; Appleton family papers, 1539-1940; Dana family papers, 1654-1933; William Schouler papers, 1840-1872; photographs; and portraits. Papers: Correspondence in William Foster papers, 1734-1879. Papers: Correspondence in King family papers, 1754-1908; and Walker family papers, 1775-1876. Papers: Correspondence in John Wolcott Phelps papers, 1833-1884; William Cullen Bryant papers, 1804-1913 (bulk 1820-1898). Papers: 1 letter (August 11, 1872) to Miss Luce, concerning his support for Horace Greeley for President; and correspondence in Edwin Denson Morgan papers, 1830-1872. Papers: 26 letters including correspondence in Gilbert F. Streeter papers, 1845-1905; Young Mens Union papers, 1855-1880; John Greenleaf Whittier papers, 1781-1922; and Salem Female Anti-Slavery Society records, 1834-1866. Papers: 8 items (1848-1867); and ca. 34 items (1848-1874) on slavery and political topics in the Gilder Lehrman collection. Finding aid. Papers: 1 letter in Manuscript collection, 1749-1899. Papers: In Agnes Goldman Sanborn papers, 1752-1984 (1808-1984); Ellis Gray Loring family papers, 1809-1942; Julia Ward Howe family papers, 1787-1984, available on microfilm; Harriet Goodhue Hosmer papers, 1834-1959, available on microfilm; Jane Gray Dodge papers, 1861-1951; Browne family papers, 1802-1963 (bulk 1833-1908); and Almy family papers, 1649-1984. Papers: 34 letters and 2 incoming letters (1845-1872) in the Gerrit Smith papers; in Samuel Hooper collection, 1856-1874; and Francis William Newman papers, 1864-1905. Papers: 79 letters to or from Sumner in Bigelow collection, 1848-1880. Papers: 1848-1873. 9 items. Letters to Rev. William Henry Furness and Horace Howard Furness. Papers: 248 letters by and 67 to Sumner (1852-1869) in various collections. Finding aid. Papers: Correspondence in various collections; and an account of Representative Preston Brooks attack on Sumner in Lawrence OBryan Branch papers, 1840-1962. Finding aid. Papers: 1843-1862. 5 items. Includes 104-page diary (1857), 1 letter by Sumner (September 15, 1862) and 3 letters to Sumner (November 1843 and December 1, no year). Papers: Correspondence in Eunice McIntosh Merrill collection of William Lloyd Garrison papers, 1814-1879. Papers: In Daniel Webster papers, 1800-1895 (bulk 1824-1852), on 8 microfilm reels of originals at Library of Congress; John McLean papers, 1817-1861, on 18 microfilm reels of originals at Library of Congress; Loomis-Wilder family papers, 1790-1912; William Smith Mason autograph collection, 1800-1929; Anson Conger Goodyear collection, 1813-1890; Samuel Bowles papers, 1853-1890; and S. Griswold Flagg collection, 1825-1938. Research Libraries Information Network In addition to the institutions listed above, items are also cataloged in collections at: Buffalo and Erie County Public Library, Buffalo, NY; Dartmouth College, Hanover, NH; Harvard College Library, Theatre Collection, Cambridge, MA; Harvard Divinity School, Andover-Harvard Theological Library, Cambridge, MA; Harvard Law School Library, Cambridge, MA; Harvard University Archives, Cambridge, MA; Indiana State Library, Indianapolis, IN; Johns Hopkins University, Special Collections, Baltimore, MD; New York Times Archives, New York, NY; Northwestern University Library, Evanston, IL; Rosenbach Museum and Library, Philadelphia, PA; Schomberg Center for Research in Black Culture, New York, NY; Stanford University Libraries, Stanford, CA; State Historical Society of Wisconsin, Madison, WI; State University of New York, Albany, Special Collections, Albany, NY; University of Michigan, Bentley Historical Library, Ann Arbor, MI; University of Rochester, Rush Rhees Library, Rochester, NY; and University of Toledo Library, Toledo, OH.